Today we have a render of perhaps a lesser known rifle used by the German Army, the Gewehr 33/40(t). Known to its original owners as the vz. 33, the carbine had been designed to arm the Czechoslovak gendarmerie. Based somewhat on the army's vz.24 rifle, it was lightened and shortened to make a handier package. With the capture of Czechoslovakia in the run up to the war, the arms factories of Brno began to make weapons for the Germans. The vz. 33 was one of several existing designs adopted into German service as the G33/40, with slight modifications to the buttplate and German style sling mounts. This carbine was used principally to arm the Gebirgsjäger, and part of the modifications to the buttplate included a strengthening plate to allow the rifle to be used more effectively as a climbing aid. Just over 25000 vz. 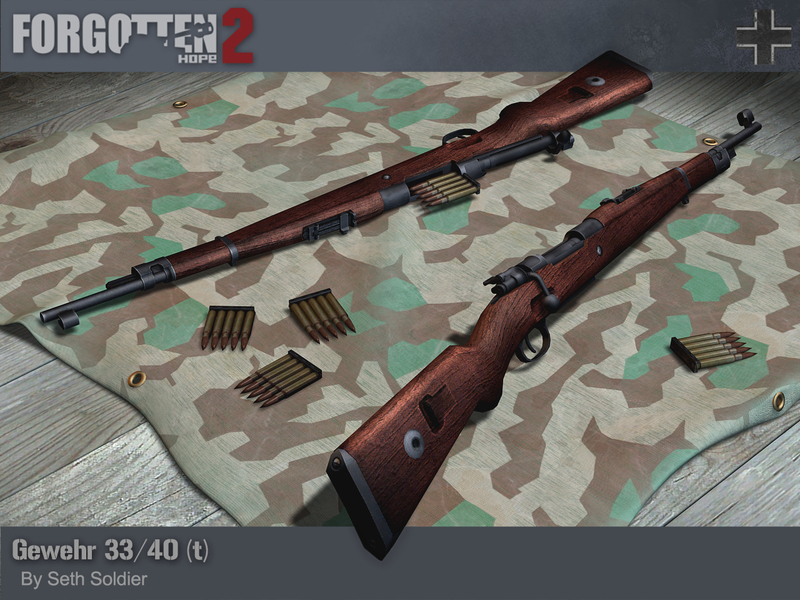 33 and 131000 G33/40(t) carbines were manufactured up to 1942, and ours was made by Seth Soldier.